If you are new to the breed you will want to look for breeders close to home. You will be able to visit a few of them and pick one that you feel comfortable with. Being able to physically visit means you can quickly identify any potential puppy mills or backyard breeders. Being local means you are not pressured to make a decision on the first visit, and can come back again after you have time to think about what you saw, or to visit other breeders. Directories of Husky breeders are a great place to start. 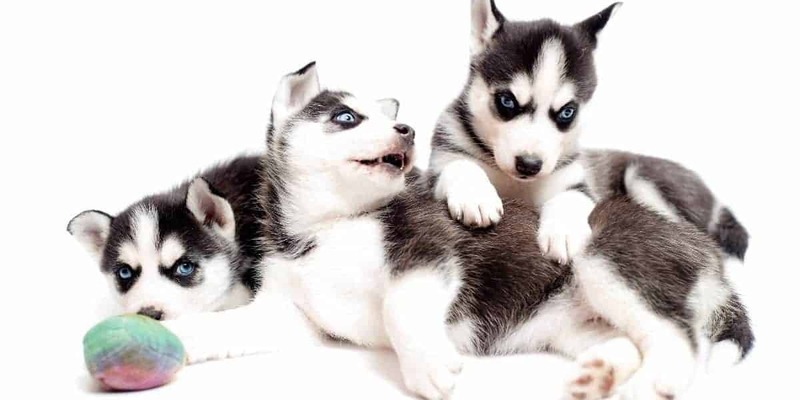 We have a breeder directory here, or you can use the Siberian Husky Club of America’s directory here, or the American Kennel Club breeder search here. Please note that just because a breeder appears on a reputable web site, or is registered, it does not give you a guarantee that they aren’t a puppy farm. You should always do your homework – and we have some specific advice on choosing a Siberian Husky breeder. You can make contact with your local dog clubs, or just turn up when they meet, and ask around. If there is a Siberian Husky dog club in your area that is a great place to start. Alternatively you could expand the search a little and look for alternative but similar breeds such as Alaskan Malamutes. If you are in a smaller town and do not have specialist dog clubs, try the general dog club and ask if they know anyone who breeds Huskies. Good dog breeders don’t work in isolation: rather they actively participate in the local community to share knowledge and news. Your best bet is to find a dog obedience or training school and have a look at who turns up. If anyone has a Husky then you can approach and find out where they got their puppy from. This is also a great way of checking out the reputation of local breeders and steering clear of any bad ones. If walking down the street and you pass a Husky you can also ask the owner for advice. Most dog owners are more than happy to stop and talk about their dog and share advice! Breeders have to get their puppies checked out by experts, and generally have a preferred veterinarian to assist. Vets in the area might know of some breeders and can pass on contact details. Shelters and rescue organisations sometimes need to place dogs in temporary care and are likely to be aware of local breeders who have the facility and expertise to look after a stranded dog. Good breeders will be happy to talk about other breeders in the area. If you know of at least one Husky breeder near you, chances are if there are more than that breeder knows who they are. Whilst some pet shops are brilliant, many are not and are just front to puppy farms. Unless you have a pet shop that is very reputable and doesn’t keep puppies in small glass cages, you might want to steer clear of getting advice from one. 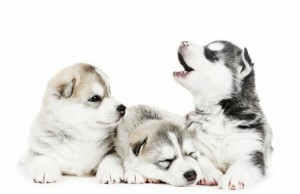 Looking to buy a Siberian Husky puppy from a breeder and not sure where to fine one? Try using web directories and search engines to find breeders near you. If that fails try talking to people in your community such as dog clubs, vets, other Husky owners and breeders, for a referral to breeders that they know of. It might take a while but the more effort you put in now, the better chance you have at finding a breeder that has a puppy perfect for you!